Great wages and benefits; a stable, successful company; state-of-the-art processes and products; and of course people who listen and value your skills and ideas. These are all of the things you want and need in a career. 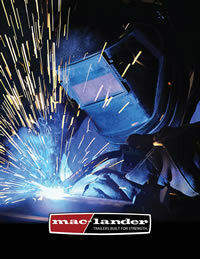 And this is what you get when you join the skilled and dedicated workforce at Mac-Lander, Inc. We have been a proud member of the local business community since 1977. All levels of employment opportunities are now available at this progressive, growing company. Consider joining our winning team and make our success your own. Apply today!